Purchasing a home is often the largest investment you will ever make. At Aisle of Palm Realty, we strive to make your purchase or sale a wonderful experience. Our talented and dedicated agents and staff are noted for their expertise and ability to assist effectively with the many details of a transaction. 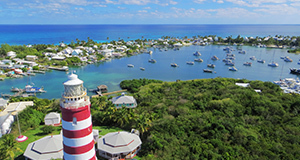 The international Persons Landholding Act, 1993, encourages non-Bahamians to acquire Real Property in the Bahamas. 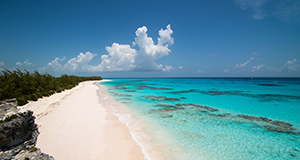 A non-Bahamian acquiring Real Property in the Bahamas now needs no permit once the property being purchased is under five acres, for residential purposes only, and is their only property holding in the Bahamas. The property is registered with the Investment Board allowing repatriation of the funds should you ever sell your property. The Act also allows for property owner and his/her dependents, to apply for an annual resident card or permanent residency. Once a sales price is agreed upon and the terms and conditions acceptable to both parties, a sales agreement is signed by both parties and a 10% deposit paid by the Purchaser and held by the Vendors attorney. The Vendors attorney will forward the Purchasers attorney all relevant title documents allowing a title search of the property and any permits needed are applied for. Once a satisfactory title search has been completed a conveyance is prepared by the vendors attorney and executed by the vendor. If there are any covenants on the property then the Purchaser also signs the conveyance. The balance of the sale price is then paid and disbursements paid. 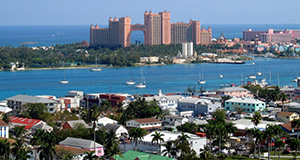 Both parties are required to have legal representation by a Bahamian Attorney. Dual representation is not uncommon and usually results in lower legal fees. Each party is responsible for their own legal fee's and half of the Government stamp duty. The Stamp Duty schedule is as follows. Attorneys fees are assumed at 2.5% per side. Real Estate commissions are set by The Bahamas Real Estate Association and are as follows.6% on developed property10% on vacant land. As of January 1st 1996, any person practicing Real Estate in The Bahamas must hold an active Brokers or Salesman's license and membership with BREA. BREA offers regular educational courses to it's members and strives to maintain a high standard of excellence from it's members. Visit their website at www.bahamasrealestateassociation.com from more on how the association operates.